The second Iron Maiden album with the three guitarist line-up continues the good work started on Brave New World (2000). 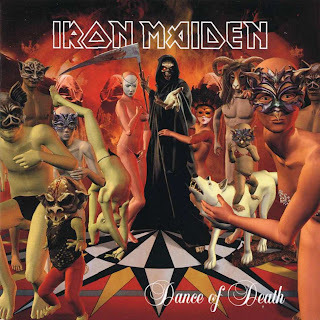 Dance Of Death may have slightly fewer stellar moments, but overall feels more cohesive, Maiden becoming more comfortable with all the tools at their disposal. Rainmaker rolls back the years: a compact track in the style of Aces High and Where Eagles Dare, perhaps not as manic but nevertheless prefect in combining all of Maiden's strengths: magical guitar melodies, seamless transitions, Dickinson in fine but controlled voice and McBrain laying down the law. Add hypnotic solos and Rainmaker takes its place proudly on the top shelf of Maiden's achievements. 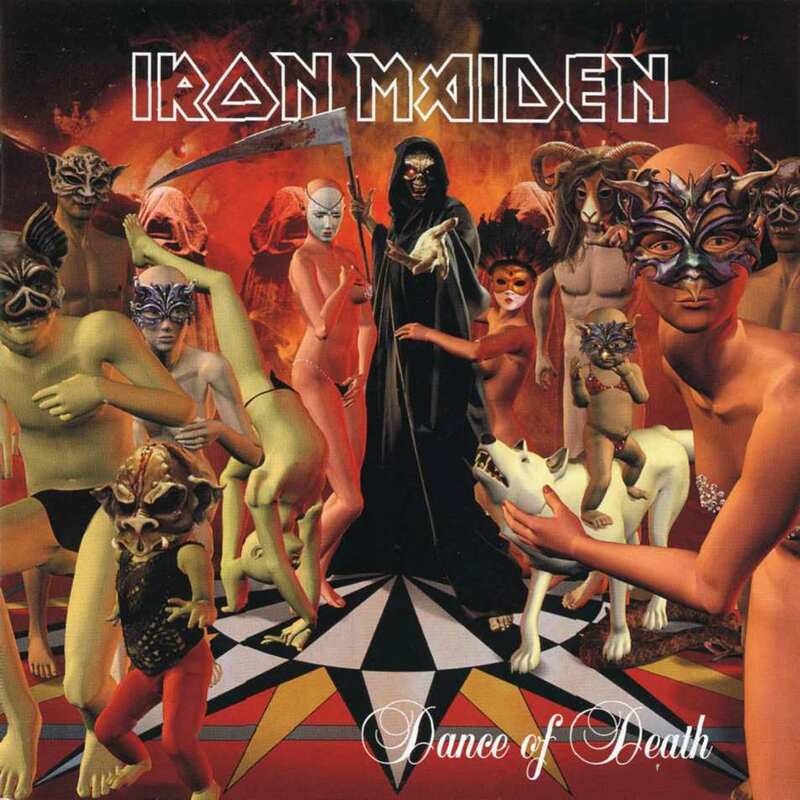 The other memorable tracks on Dance Of Death are all about elaborate, patient story-telling, and if anything, Maiden are guilty of over-complicating the tales of war, carnage and wild zombie parties. The title track builds - and builds - to an epic folk melody as Bruce stumbles across the dead dancing up a storm. Mixing the epic with the ridiculous, the outcome is just pure fun. More serious is Paschendale, about a meat-grinder of a World War One battle which took place in the second half of 1917 and featured the use of numerous gas attacks, ending with about 700,000 men dead. Maiden give the battle its due with a dark, sombre and complex composition that never quite takes off but always threatens to do so. Continuing with the theme of bloodshed is Montsegur, the name of a domineering medieval fort in France, and site of an infamous siege that ended with plenty of gore in the 13th century. It is a less lumbering track but also wildly repetitive, an enjoyable romp for those who appreciate stomping around killing fields in blood stained gum boots. Of the rest, Wildest Dreams and No More Lies are relatively standard modern Maiden tracks, the reduced energy of middle age cohabitating with the efficiency of wisdom to produce fluently enjoyable metal. Gates Of Tomorrow and Age Of Innocence, on the other hand, should have been left in the wilderness where Maiden found them, near those dancing dead folks. Dance Of Death is a mostly tasty concoction of history, gore, and merriment, mixed into a thick broth by masters of the metal craft. Produced, Recorded and Mixed by Kevin Shirley. Engineered by Kevin Shirley and Drew Griffiths. Mastered by Tim Young. All Ace Black Blog Heavy Metal CD Reviews are here.